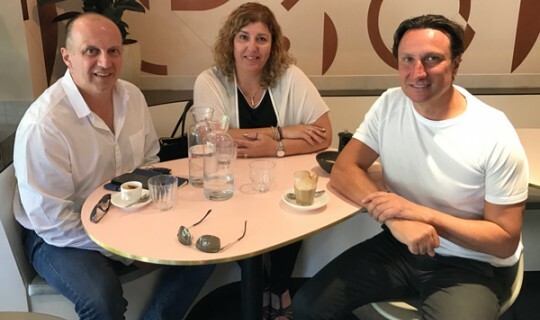 Leading Greek organisation, Pronia, has congratulated the Greek Community of Melbourne (GCM) on the Bulleen proposal, an initiative that will provide the Greek community with new opportunities for greater engagement. The President of Pronia, Mr George Spiliotis, welcomed the GCM’s announcement for Bulleen and he personally congratulated the GCM’s President Bill Papastergiadis and the Board of Directors, wishing them every success in this project. “GCM has invited Pronia to consider how it can best utilize the multipurpose facility to assist with the development of programs and services to address the needs of our community including not only the aged, but also second and subsequent generations, and the newly arrived. The Bullen proposal has come at an opportune time to address the growing needs of our community through the development of a community centre that will target the social, cultural and care needs of our community. Pronia looks forward to the further development of this proposal and the benefits that it will provide to the Greek community. GCM’s President Mr Bill Papastergiadis highlighted the continuous close relationship with Pronia and thanked Mr Spiliotis for his support. "This is a project for the whole community,” Mr Papastergiadis noted. “We wish also to cooperate with other organisations for the development of the Bulleen, this is a much needed project for future generations”. Mr Papastergiadis also announced that the comprehensive dialogue between the two organisation will commence immediately after the Annual General Meeting. "This is why the Special General Meeting this Sunday plays an important role not only for this project but also for the future cooperation with other Greek organisations" said Mr. Papastergiadis. "George’s contribution to the community is significant and he has showed great interest in this project and in the GCM’s activities. I am optimistic that we will continue the discussions for the development of specific programs for the whole community," he added. Both the Annual General Meeting, as well as the Special General Meeting, will be held at the Andrianakos Centre at Alphington Grammar School this Sunday the 5th February at 1pm.